Grainger Public Relations » Reindeers, Snow and Carol Singing Mark Wellgate Festive Season! A packed programme of activities and events will take place from 2pm, to mark the countdown to the spectacular lights switch-on at 5pm. 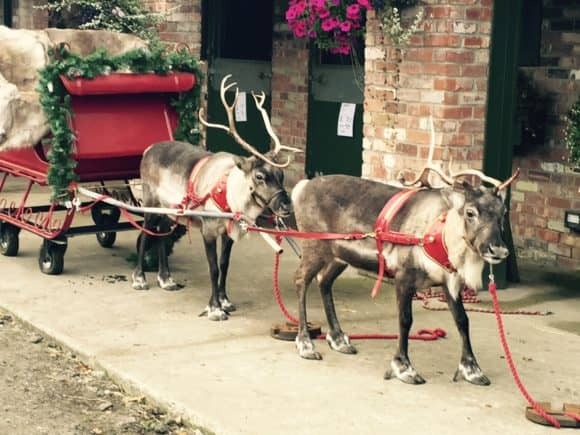 The celebrations will start at 2pm when two reindeers, aptly named Jingle and Bell, will take up residence for the afternoon. Visitors are welcome to meet them from 2-5.30pm outside the glass lift on on Level 3. Meanwhile, at 3pm, live street theatre performers from Dundee and Angus College will leave Dundee city centre with Courage the Cat and Santa, before he prepares to meet countless excited children and families within his Wellgate grotto from 3.30pm. Then, within, the cosy confines of the Centre, visitors can enjoy a choir and band singing Christmas carols and songs, music from singer Tyler Ness and Tay FM’s very own Lynne Hoggan. There will also be face painting, crafts and an area where children can write and post their letters to Santa, with the exciting prospect of a reply to follow! Of course, there is also the Christmas Central shop created by the College’s HND Event Management students. Of course, charity also plays a key role in Wellgate’s festive celebrations, being the main sponsor of Mission Christmas, which supports needy children in Tayside as part of Cash for Kids. The toy appeal raised £185,000 last year and, with the renowned generosity of Dundee communities, plans to beat that this year, with collection boxes throughout various Wellgate shops including New Look, BHS and Superdrug. Mission Christmas will be launched at 4.30pm. Younger visitors can also join ‘Funbox’, starring Anya, Gary and Kevin from ‘The Singing Kettle’, for a singsong at around 4.30pm at Santa’s Grotto. Saving the best for last, the Wellgate Christmas lights will be switched on by Santa and Courage the Cat at 5pm, with snow falling, whatever the forecast! A choir will add a warming, festive dimension from then until 6pm.